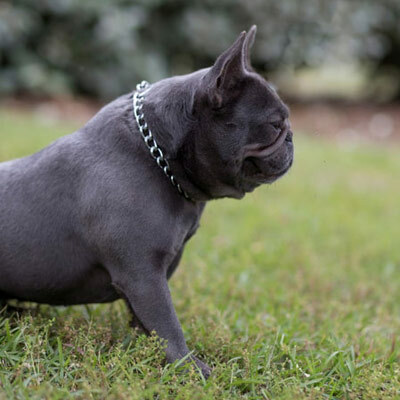 Blue French Bulldogs feature a gorgeous, steel gray coat color. We have blue brindle puppies, as well as the very rare blue solids. Blue solids are created only by a special combination of DNA, guaranteed never to develop striping. 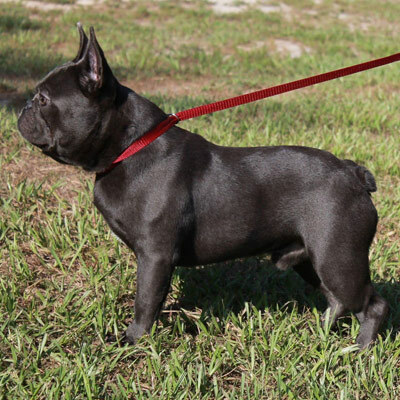 Our breeding male and female dogs are from the most sought after pedigrees for color dogs, that is carefully mixed with AKC champion lines to create an amazing exotic color with the best of quality. 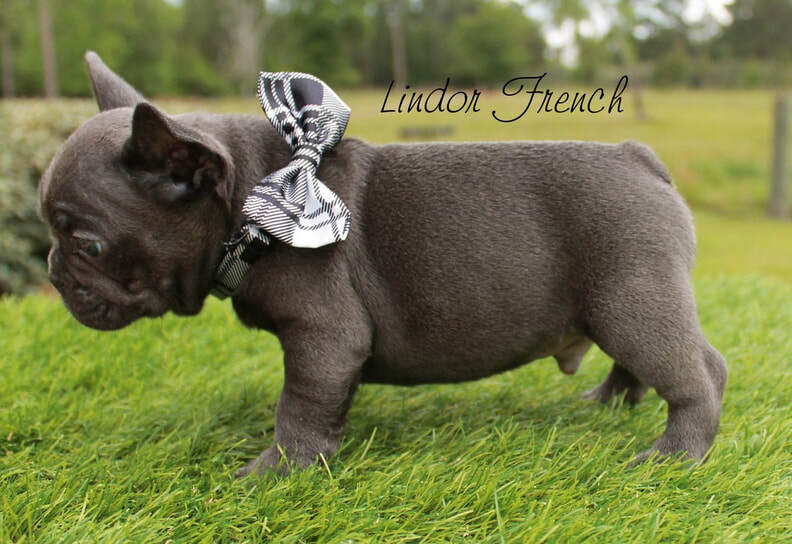 Contact Lindor French Bulldogs to purchase your purebred blue puppy today!